Avengers: Endgame director Joe Russo says that toy leaks are usually pretty inaccurate. There have been more than a few toy leaks from the upcoming movie over the last several months and they could fall into designs that were created early on in the development phase. However, considering that one of the Russo Brothers is telling us this information could be one giant misdirect, which they have been known to do. Plus, it's an easy way for the directors to avoid giving away spoilers. When it comes to leaks from Marvel Studios, the toys are often the first to come out since they have to be made well in advance. Avengers: Endgame has been no different. We've seen quite a few toy designs, which appear to give us an early look at what may happen in the movie. But, Joe Russo says that they're mainly fake news. He explains. "What's interesting about toy leaks is that 99 percent of the time they're not accurate. Because toys are, frankly, tailored to either old concepts or completely different concepts than what's in the movie. I laugh a lot when those toy leaks show up because I'm like, well, that's great, because that's a misdirect (laughs). Because it has nothing to do with the film." Obviously, Joe Russo could just be throwing Marvel Cinematic Universe fans off of the scent. But, we have seen some toy leaks that have been pretty inaccurate in the past, including the Hulk busting out the Hulkbuster suit toy that was released before Infinity War hit theaters. Obviously, the Hulk was not in the Hulkbuster suit at any time during the last movie, but the toy was still made that way. 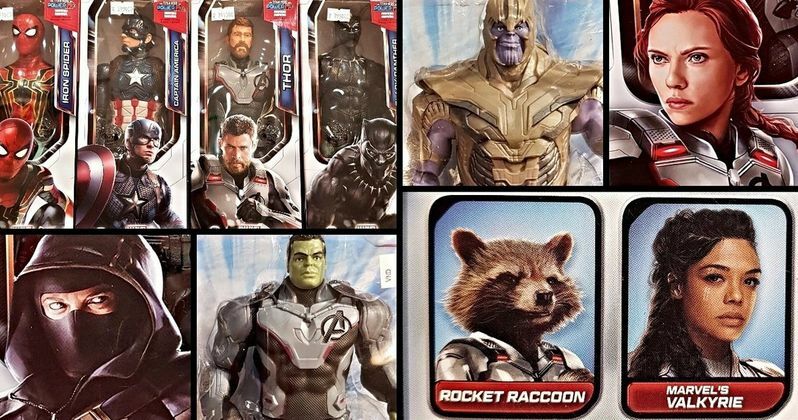 When looking at the Avengers: Endgame toy leaks along with the first official promo art, we may very well be seeing something that has been long-abandoned by the Russo Brothers. For instance, the white suits that we have seen a lot of, which many believe to be the Quantum Realm suits, might not even make it in the movie and could be based off of really old concept art. Or, the Russo Brothers are just being sneaky and throwing a major misdirect our way. The Russo Brothers are the ones who denied that Endgame was the official title of Avengers: Endgame when asked about it just to throw us all off. With that being said, even for a movie as big as Endgame, there hasn't been that many toy leaks that have come out, especially when compared to Captain Marvel, but that could very well change in the next few weeks as the movie prepares to hit theaters. For now, the Russo Brothers are warning that most of the toy leaks do not provide any information about the upcoming movie, unless they're in that rare 1%. You can check out the interview with the Russo Brothers below, thanks to the Collider YouTube channel.